Wheat is an important food crop in the world. It is also one of the top three global food crops produced after rice and maize that constitutes an immensely significant role with respect to global food security. Due to finite land resources that can be dedicated to agriculture global wheat production has been consistently dependent on genetic improvement of wheat germplasm across the world. Traditional plant breeding has been an important tool in increasing global food production by producing disease and stress resistant, high yielding and early maturing wheat varieties. However, it is necessary to have a stable and divergent pool of wheat genotypes grown under different environmental conditions and different land races of wheat as genetic feedstock for enhanced genetic improvements. Due to increased global human population, extensive anthropogenic pollution and damages to the vulnerable local ecosystems, existing genotypes and land races of wheat are under constant threat of becoming extinct. Hence it is absolutely necessary to conserve the global wheat biodiversity for securing the future of our food security. 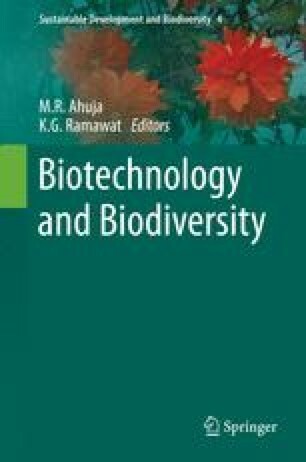 Recent progress and developments in technological applications including those in the realm of biotechnology have turned out into an essential tool that could be effectively and efficiently utilized for wheat biodiversity conservation. This short review is an attempt to investigate different factors and concerns jeopardizing global wheat biodiversity and pinpoints some potential approaches for its successful conservation.